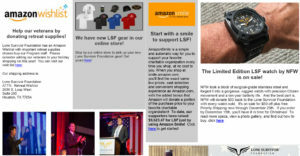 The latest issue of Lone Survivor Foundation’s newsletter is now available for download. Get the latest retreat statistics, financials, and marketing news! Click below to download your pdf copy.